HTML website is an economic alternative to consider while building a website from the scratch which can be expensive option for smaller businesses to afford. 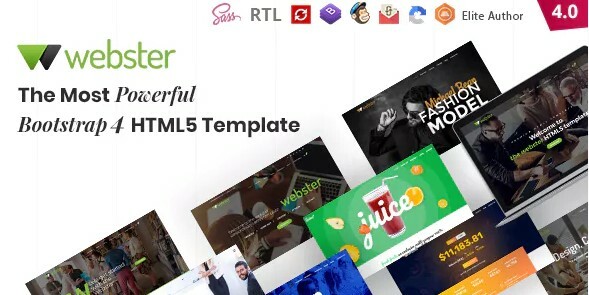 Webster is one of the responsive and multipurpose HTML5 templates that comes jam-packed with 70+ homepage layouts, 540+ stunning template variations, 50+ shortcode with 600+ reusable UI components and bingo, the free premium plugins. The bootstrap 4 based template has all the necessary building blocks and pre-built components in place that allow businesses to craft a full-fledged website that thrive the users with elegant designs and fantastic layout without having low-level programming knowledge. It’s all viable with the minimum time and dollar investment. It’s a huge saving.